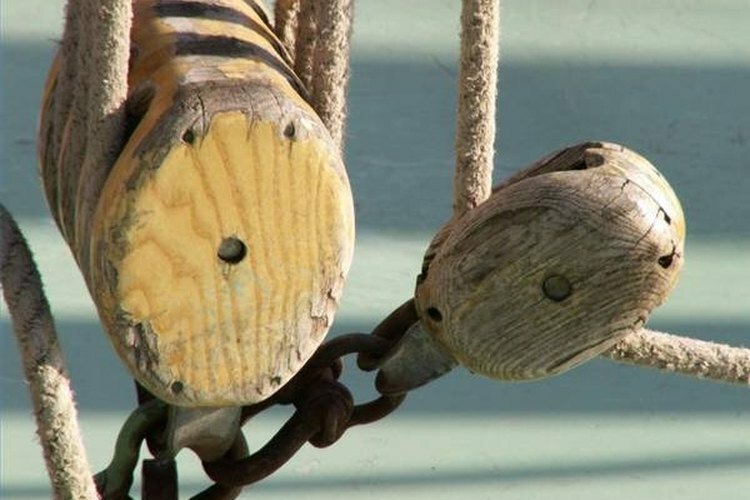 How Does a Block and Tackle Work? A block and tackle is any hoisting system operated through at least two pulleys. The pulley is one of the classical six simple machines, consisting of a device with one or more grooved, flanged wheels. These wheels are called sheaves. A block and tackle works because of the mechanical advantage it confers. By threading ropes through the sheaves of the pulleys, the rotational movement of the wheels changes the direction of the applied force. 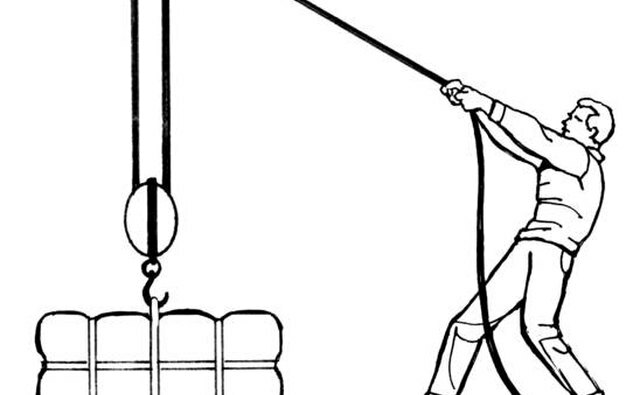 The most basic arrangement, with only one sheave threaded in both pulleys, is referred to by sailors as a gun tackle. With a gun tackle, a 100-lb. load can be moved with 50 lbs. of force. Doubling the number of sheaves that have been threaded n both pulleys reduces the amount of force needed to move the same 100-lb. load to 25 lbs. A simple pulley is hung from a a fixed point that is strong enough to support the weight to be loaded. This is usually above where the load must be hauled to and where the person or machine will be pulling, so that the load will stop in a convenient location. The second pulley is hooked to the load. 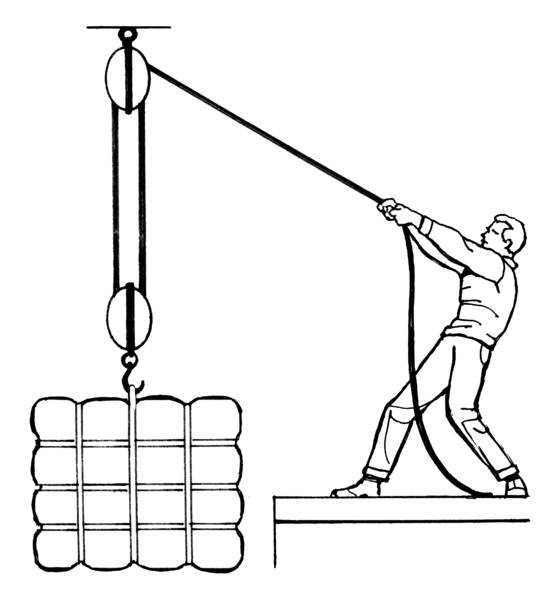 The rope is tied to the bottom ring of the first pulley, threaded through the second pulley, threaded through the first pulley, and the free, pulling end is taken away to where it will be pulled. The rope is pulled, the sheaves turn, and the load is hoisted up. Friction is the practical limit on how much mechanical advantage block and tackle methods can offer. Ropes and cables rubbing against wood or metal generates a lot of friction, and it requires force to overcome it. Threading more sheaves generates more friction, requiring more force. The exact point of diminishing returns on the sheaves in a pulley depend on the materials involved, but pulleys with more than three sheaves are uncommon and more than four sheaves very rare.